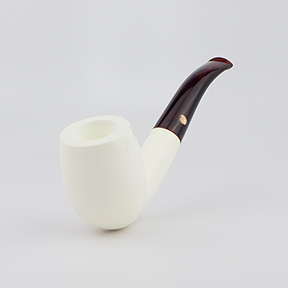 Meerschaum Pipes by SMS On Sale! ~ Meerschaum Pipes by SMS in Animal, Classic, Claw, and Skull Shapes On Sale Now at Milan Tobacconists! Milan Tobacconists offers a wide selection of fine pipes for the discerning smoker at reasonable prices. 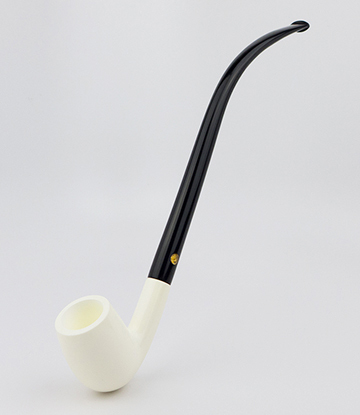 Only our most popular brands, such as the meerschaum pipes offered below, are listed here. If you are unable to easily locate a particular tobacco pipe, please give us a call at 877.70MILAN or send an email to customercare@milantobacco.com. We'll do our best to make a match! Meerschaum, translated from German means "sea foam." This name reflects the lightness in weight and whiteness in color. Meerschaum, a mineral (Hydrous Magnesium Silicate), is considered by pipe smokers as the perfect material for a cool, dry smoke. The pipe itself is a natural filter that absorbs tar. Today, the highest quality meerschaum deposits are not found near any body of water. They are found in only one area of the world, the open plains of central Turkey surrounding the small city of Eskisehir. Meerschaum is mined wet from depths of up to 400 feet and is bought by carvers in various size blocks or lumps called stones, then hand carved into what many consider one of the finest smoking pipes available. 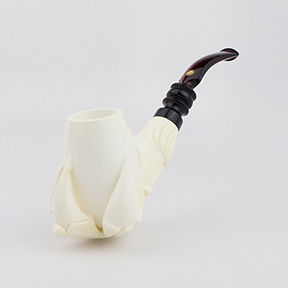 Our meerschaum pipes are individually hand-carved from block meerschaum, not pressed, and they are priced based on the size of the pipe, quality of the meerschaum block, and the carving detail. Due to the delicate nature of these pipes, each is shipped in a custom-made hard protective case with a velvet lined interior. 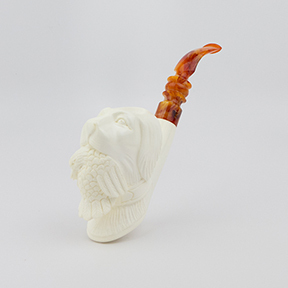 Click on any link or image below to view all of the available meerschaum pipe shapes.